The Great Fire of Rome opens at the beginning of A.D. 64 and follows the events in Rome and nearby as they unfold in the seven months leading up to the great fire. As the year progresses we learn that the infamous young emperor Nero, who was 26 at the time of the fire, is celebrating a decade in power. Yet the palace is far from complacent, and the streets of Rome are simmering with talk of revolt. Dando-Collins introduces the fascinating cavalcade of historical characters who were in Rome during the first seven months of A.D. 64 and played a part in the great drama. 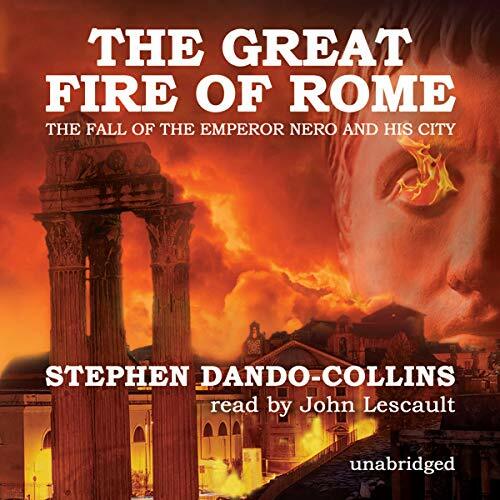 Using ancient sources, as well as modern archaeology, Dando-Collins describes the fire itself, and its aftermath, as Nero personally directed relief efforts and reconstruction. The Great Fire of Rome is an unforgettable human drama which brings ancient Rome and the momentous events of A.D. 64 to scorching life. ©2010 Stephen Dando-Collins (P)2010 Blackstone Audio, Inc.